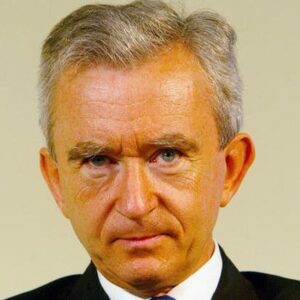 Bernard Arnault net worth and salary: Bernard Arnault is a French billionaire who has a net worth of $90 billion dollars. Bernard Arnault's net worth makes him one of the richest people in the world behind people like Warren Buffett, Bill Gates and Carlos Slim Helu. After a few failed business attempts in the United States, Bernard Arnault returned to France and purchased what would later become the luxury goods conglomerate LVMH, made up of such companies as Louis Vuitton, Dior, Moet & Chandon, and Fendi. His career in business began in earnest in 1971 after he graduated college. 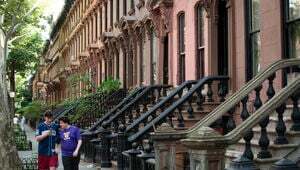 He joined up with his father's company and quickly convinced his father to get rid of the construction portion of the business and focus instead on real estate. This quickly turned out to be a good business move, and eventually Arnault was head of his own company in the United States, selling luxury condominiums in Miami, FL. Back in France, he became the CEO of Financière Agache, a manufacturer of luxury goods, and Christian Dior, a famous fashion brand. In 1987 LVMH, a collective of luxury companies that includes Christian Dior was started, and Arnault found himself more successful than ever thanks to his shrewd business sense. Bernard Arnault isn't just all business, though – he is known for his keen interest in art collecting for instance. Through LVMH, Arnault has sponsored artistic exhibitions in France featuring such globally renowned artists as abstract painter Pablo Picasso and Pop Art pioneer Andy Warhol. 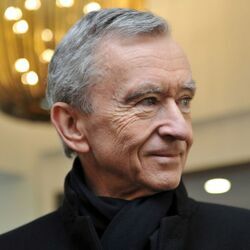 Bernard Arnault Net Worth details: Arnault made most of his fortune from Christian Dior, which his family holds a 73 percent stake in. Christian Dior is a 41 percent owner in the world's largest luxury goods company, LVMH, which the Arnault family owns a 5.7 percent direct stake in. He also owns 8.4 percent of Hermes and shares in Carrefour. 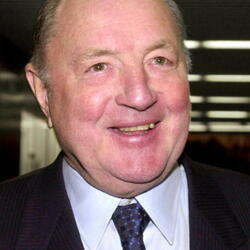 In 2009 he sold his stake in the winery Cheval Blanc to LVMH for 238 million euros. LVMH had revenue of $41.6 billion in 2016.